You must enter our warehouse address (655-H Pressley Rd Suite H Charlotte, NC 28217) as shipping address for local pick up orders. 7.25% NC sales tax applies to all Local Pick up orders. You will Be Contacted When Your Order Is Ready For Pick Up. Orders Placed Before 12 pm Can Generally Be Picked Up The Same Day. Please Do not Come To Pick Up Your Order Until You Are Notified. Orders Are Fulfilled in The Order They Are Received. Thank You! 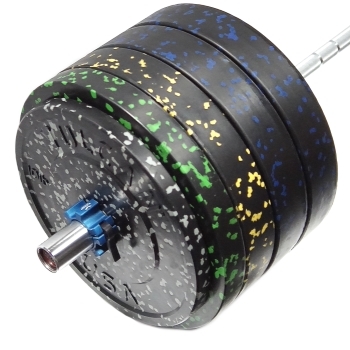 Vulcan Alpha Bumper Plates are built to endure the rigors of Olympic Weightlifting and CrossFit® workouts. Vulcan Alpha Plates are designed for indoor and outdoor use and can safely be dropped on any surface. The Alpha plates are made of a higher quality rubber that is quieter than regular plates and will bounce less. These are the only plates of their kind on the market.